Hollywood, where I live, is in the middle of Los Angeles and actually part of the City of Los Angeles. 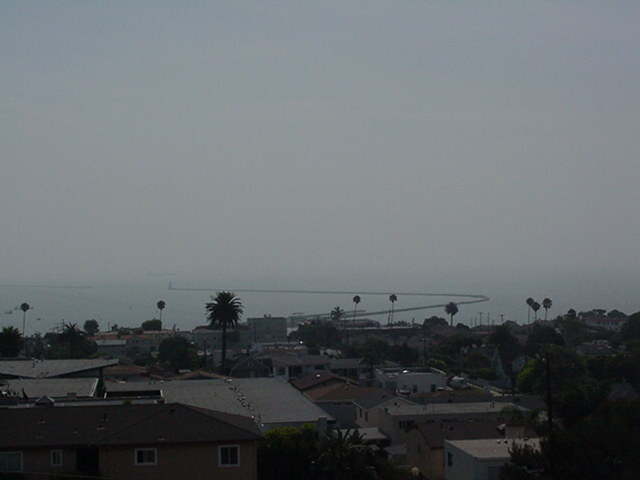 I used to live in San Pedro, also part of the city, but many miles south of Hollywood at the harbor. Here's what it looks like. 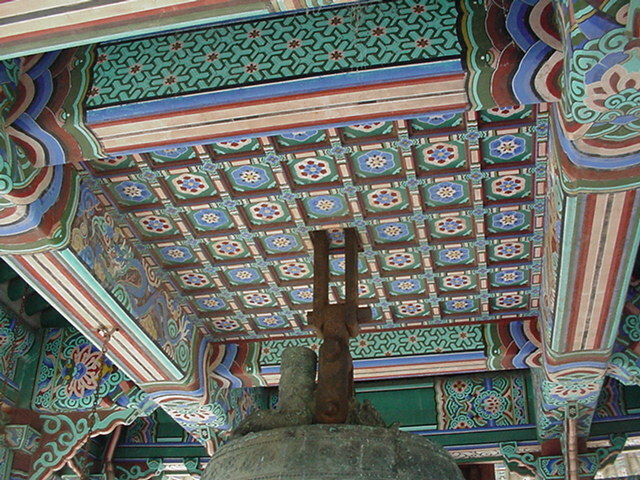 This issue is being published on the fiftieth anniversary of the armistice that ended the Korean War. 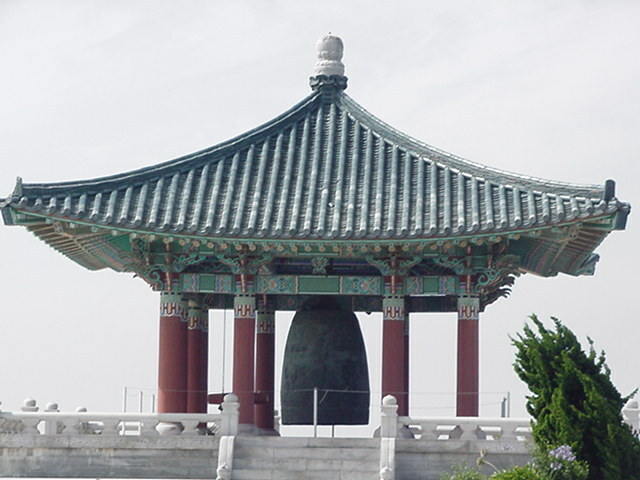 When the United States turned two-hundred-years-old, in 1976, the Korean government gave us this gift, the Peace Pavilion with its Peace Bell, in Angels Gate Park in San Pedro. 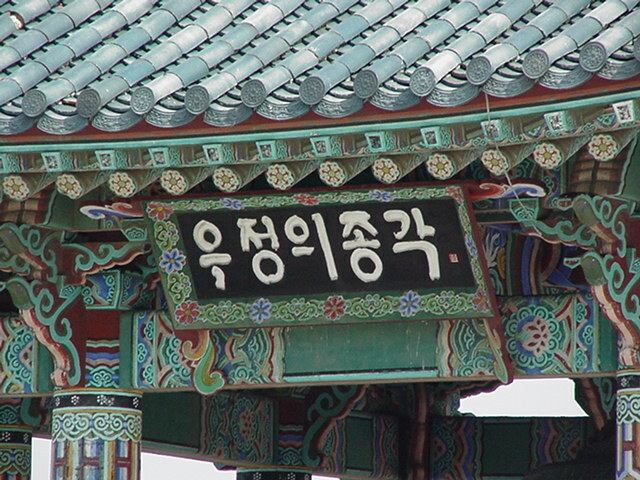 On a clear day you cannot see Korea across the water, but that you imagine you could is the general idea. 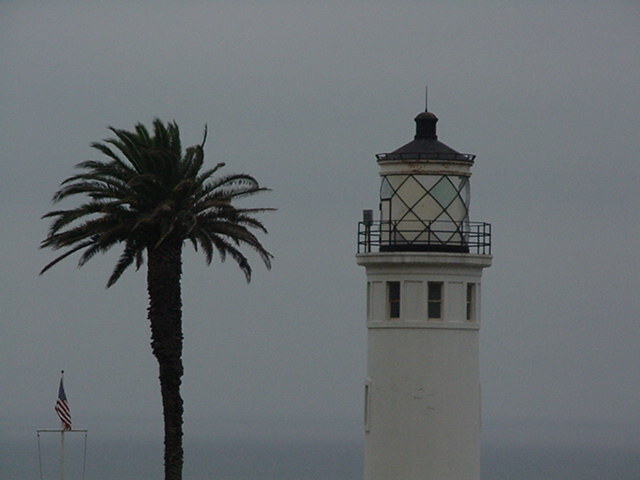 Los Angeles has lighthouses, and unlike those in New England, ours have palm trees. 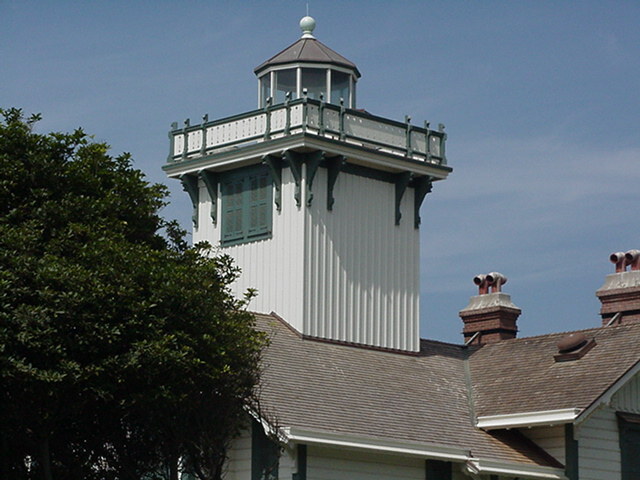 The Victorian one is the Point Fermin lighthouse, just below the Korean pagoda in San Pedro. The white one with the single palm tree is the Point Vincente lighthouse a few miles further up the coast. The third one far in the distance is the real thing, a utilitarian light at the end of the jetty protecting the Port of Los Angeles - Angels Gate. 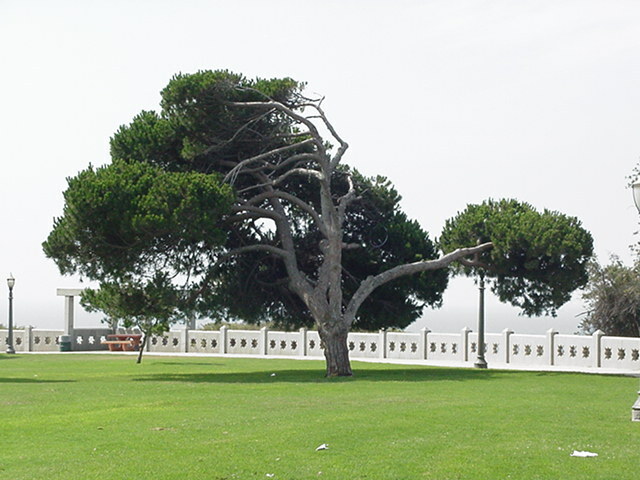 Angels Gate Park in San Pedro, just above the Point Fermin lighthouse, is the windiest place in Los Angeles. You can see here what the constant onshore wind does to a tree, this one next to the lighthouse. Folks fly giant multi-segmented kites here, and just offshore there are usual windsurfers. 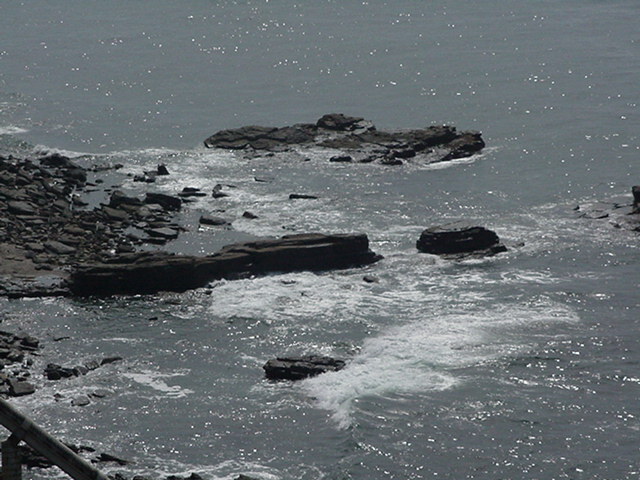 By the way, the lighthouse is about the rocks, and these are at the base of the cliff upon which the lighthouse stands. 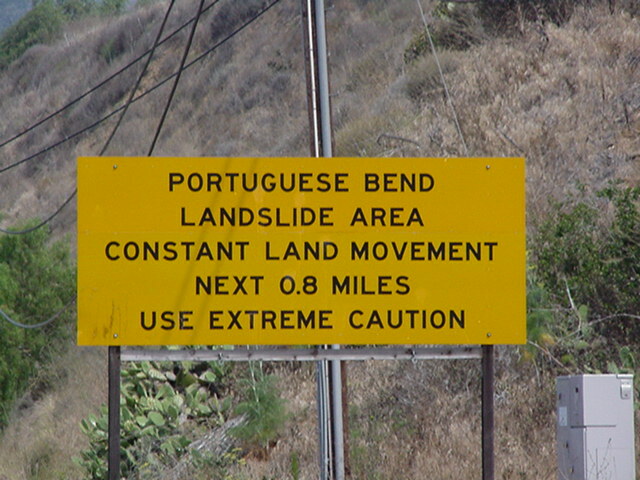 Some miles below Sunset, in Palos Verdes, the southernmost chunk of Los Angeles, you will need to be more careful than in my neighborhood. We haven't had a slide or an earthquake up here for almost four years.